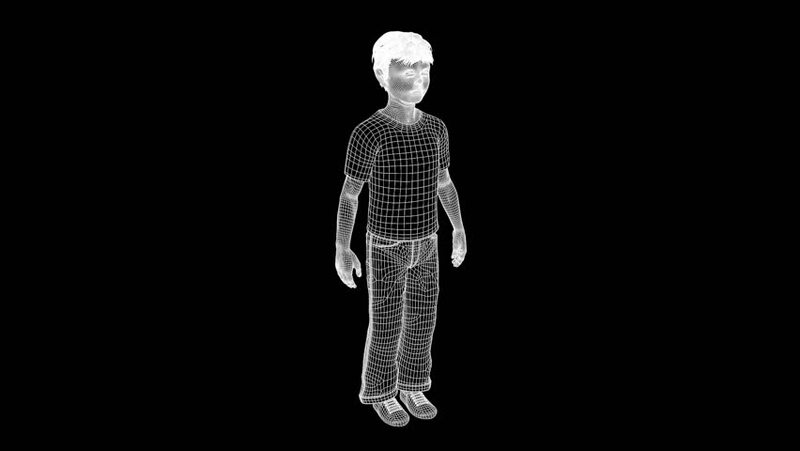 4k00:41Wireframe: quarter-speed slow motion, dual view of female android - medium walk. Works as its own transparency mask. Seamless loop.